The Auburn Tigers men’s basketball team just upset the #1 seeded North Carolina Tar Heels. The 2019 SEC Men’s Basketball Conference Tournament champions not only defeated UNC, but beat the top seeded team soundly by 17 points with a score of 97-80. Led by Jared Harper, Bryce Brown and a huge double double from Chuma Okeke. And Auburn’s got double digit points off the bench from Danjel Purifoy and J’Von McCormick. 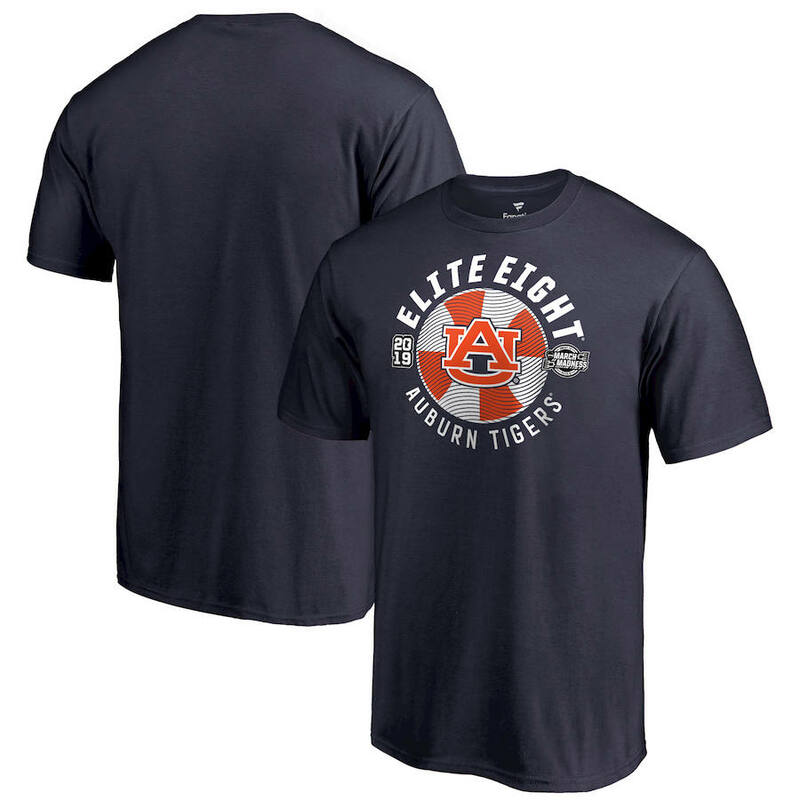 Now with the program’s second ever Elite Eight appearance, let’s get you into some Auburn basketball gear. 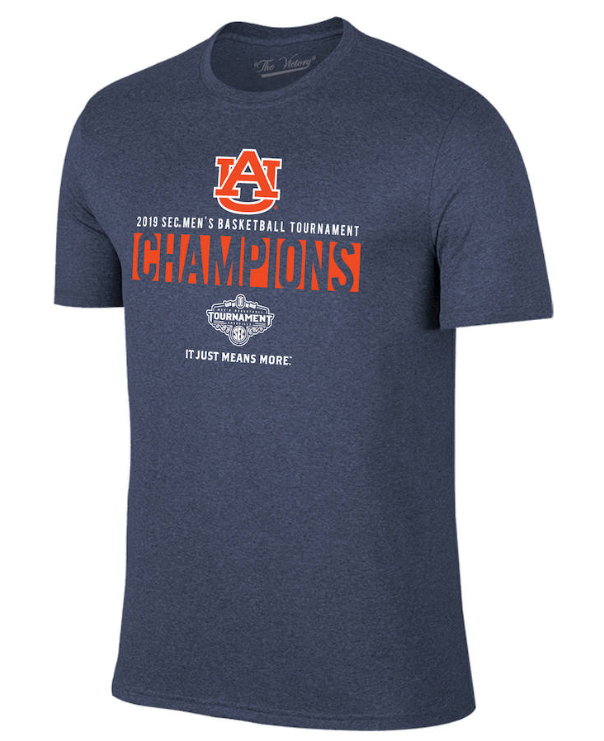 Here’s the best March Madness gear to support Auburn. Let’s start out with where the Auburn Tigers are in the tournament bracket and that’s the Elite Eight! 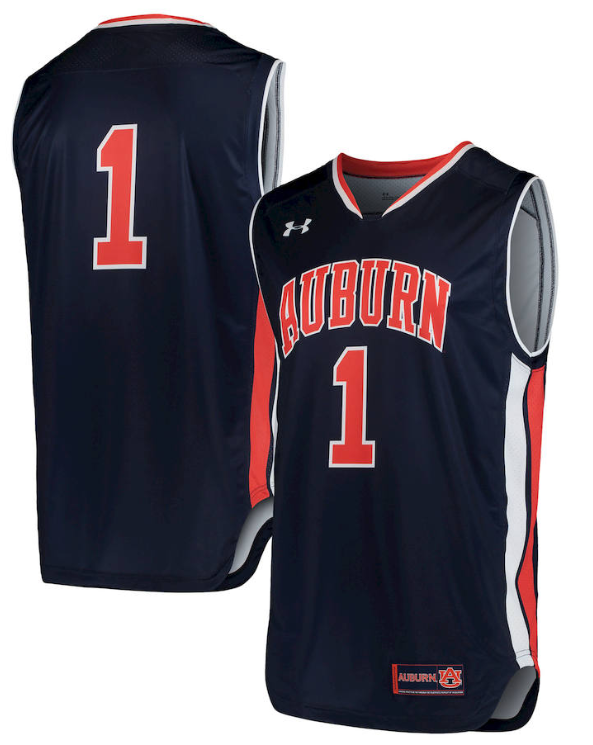 Or how about putting this Auburn Tigers basketball Jersey from Under Armour? It’s an oversized cut but flows nicely because it’s designed with little to no structure in shoulders, chest and waist and 100% Polyester. 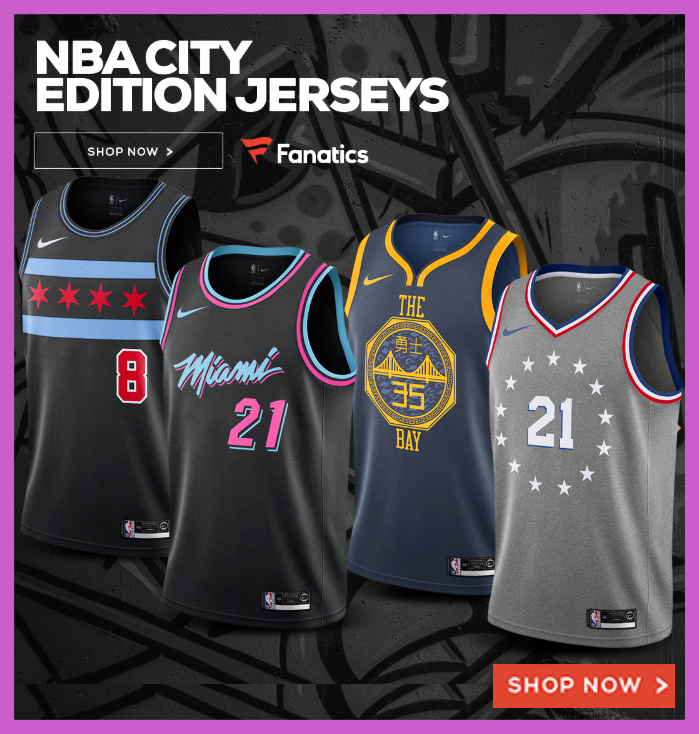 Learn more about this jersey here. No matter how far the Auburn Tigers get into the tournament, you can always celebrate their 2019 SEC championship. Lock and load yourself with this Original Retro braded 2019 SEC Men’s Basketball Conference Tournament Champions Locker Room T-Shirt in navy with orange accents. 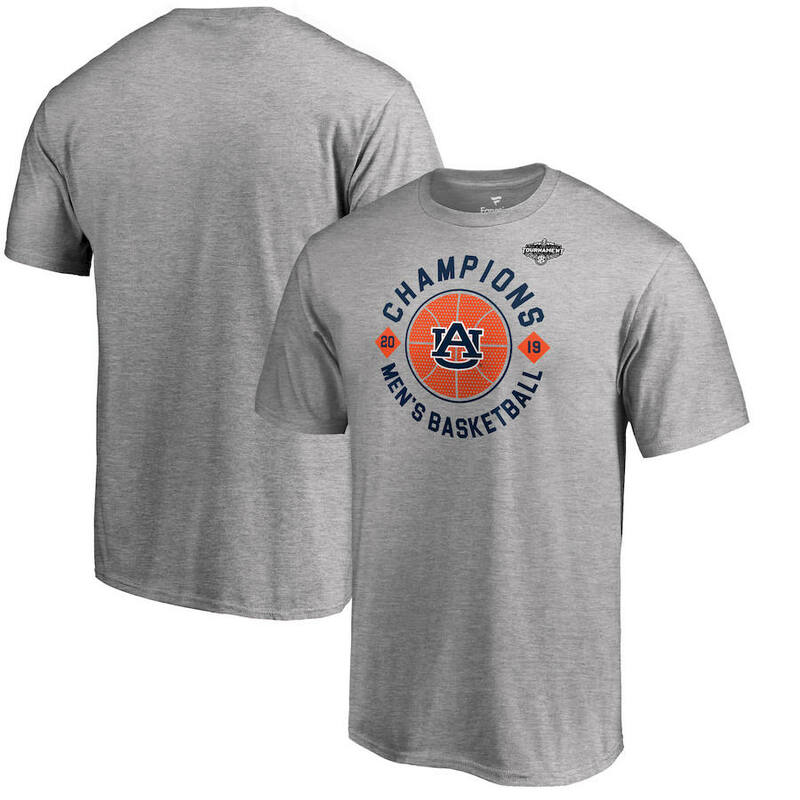 Or get their 2019 SEC Men’s Basketball Conference Tournament Champions T-Shirt in gray and in a new design. This is an exclusive Fanatics Branded shirt in heather gray and only $24.99. Use FREESHIP to get this with free shipping. 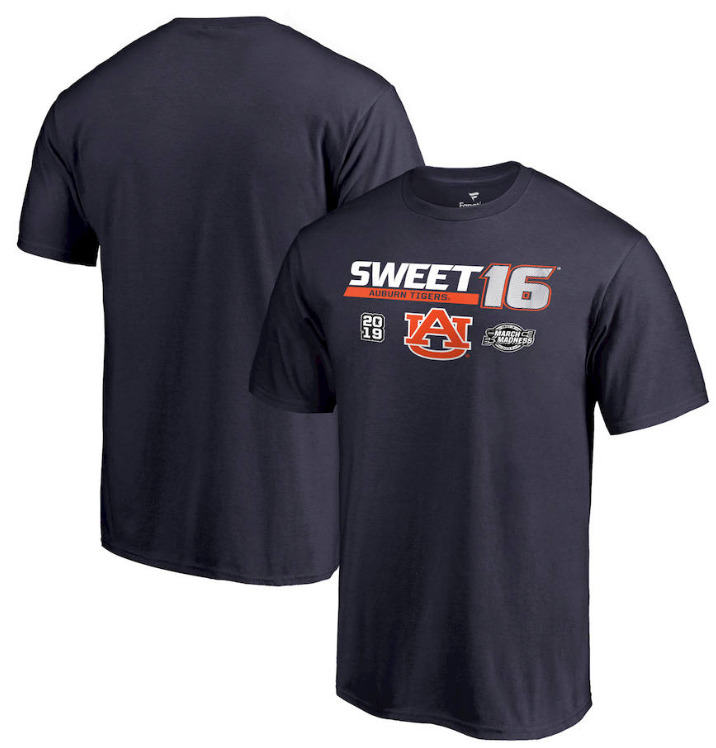 Stick with the Sweet 16 and relive the win over North Carolina with this Fanatics-branded 2019 NCAA Auburn Tigers Men’s Sweet 16 “Backdoor” shirt in Auburn Tigers navy and orange. 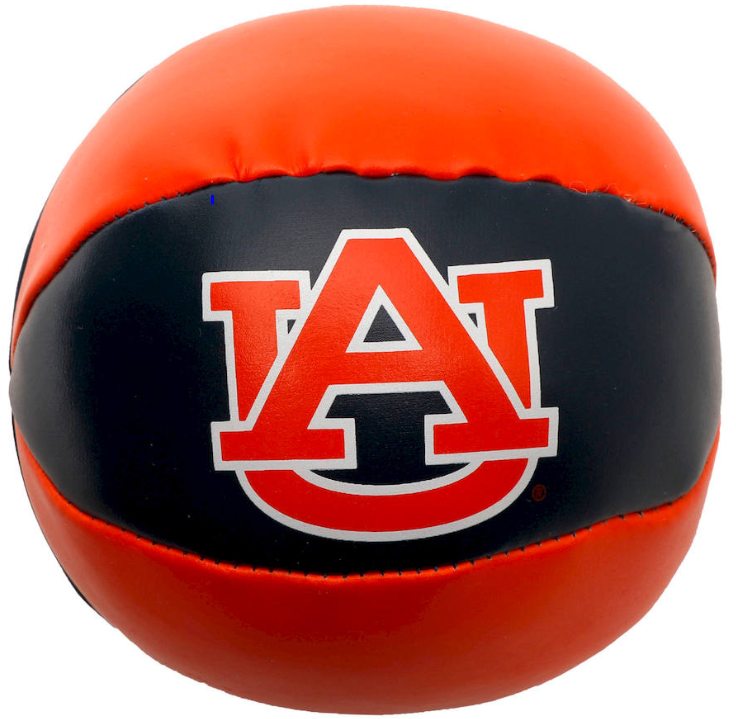 March Madness may be a little intense, so why not have a little fun with this Auburn mini basketball. Throw it around without fear of too many consequences as it’s measures 4 inches and made of 100% polyester fiber. It can also double as a stress ball during the more anxiety-driven times of the tournament. Do none of the above work for you? 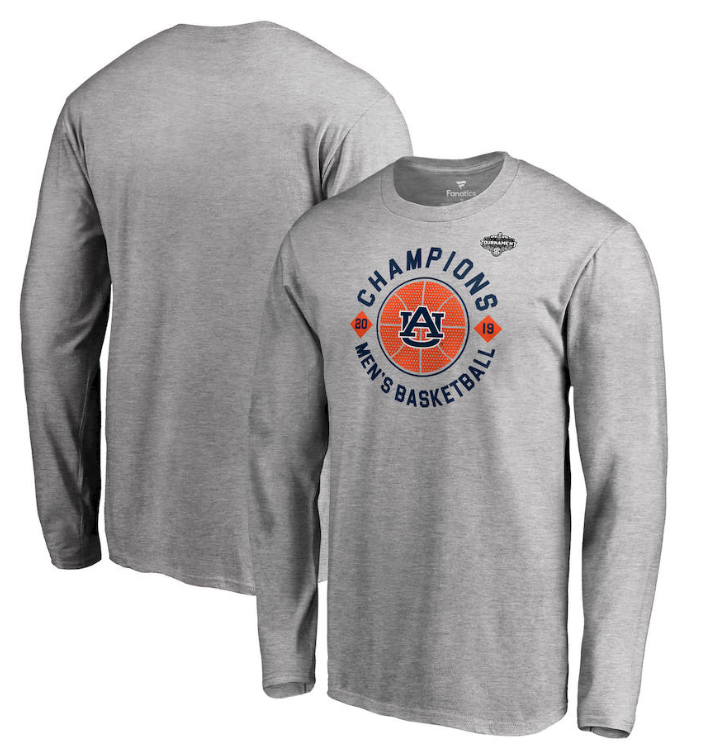 You might just want to browse all the March Madness basketball gear that Fanatics has for the Auburn Tigers Men’s basketball team. As mentioned this is the team’s second appearance in the Elite 8 — the last time the team made it this deep into the tournament? 33 years ago in 1986. Wow. And the fun reached the NBA on TNT crew of North Carolina alum Kenny Smith decked out in his school colors with Auburn alum Charles Barkley sitting next to him in the navy and orange. No doubt, Barkley was ecstatic after the upset.